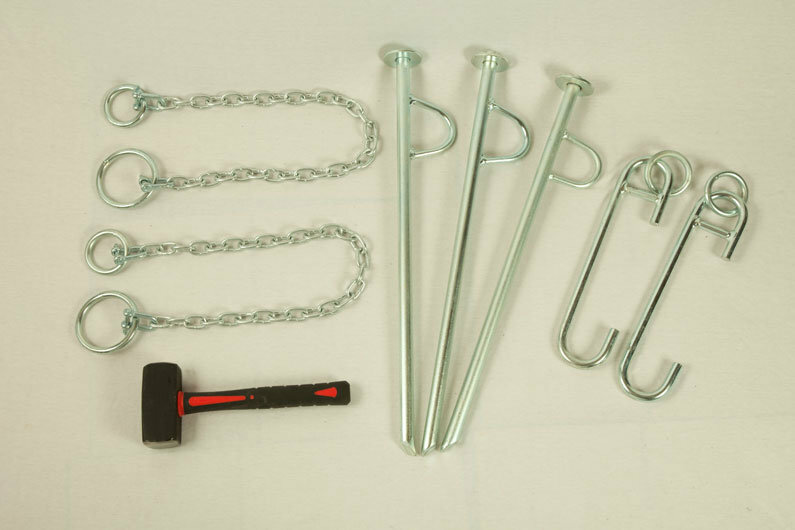 Guide To Narrowboat Mooring Hardware | What Mooring Equipment Do You Need On A Narrow Boat? 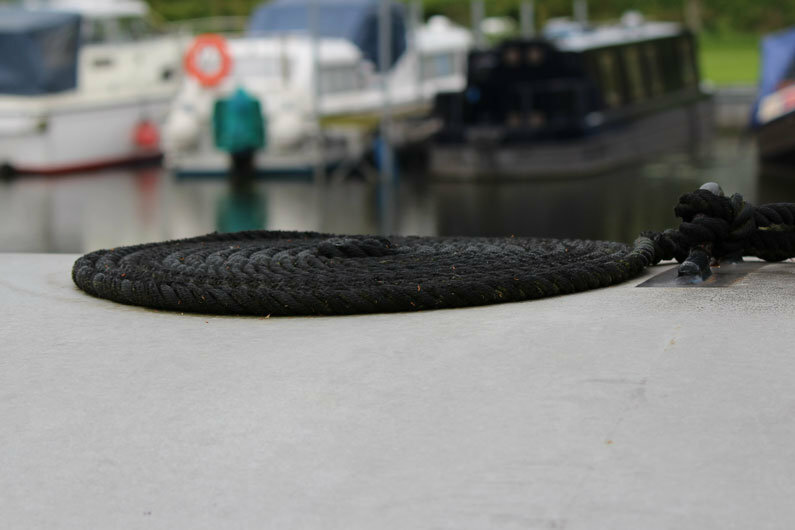 Whether your narrowboat is moored in a marina or out cruising the network; you will need a mooring kit to ensure your narrow boat is safe and secure. 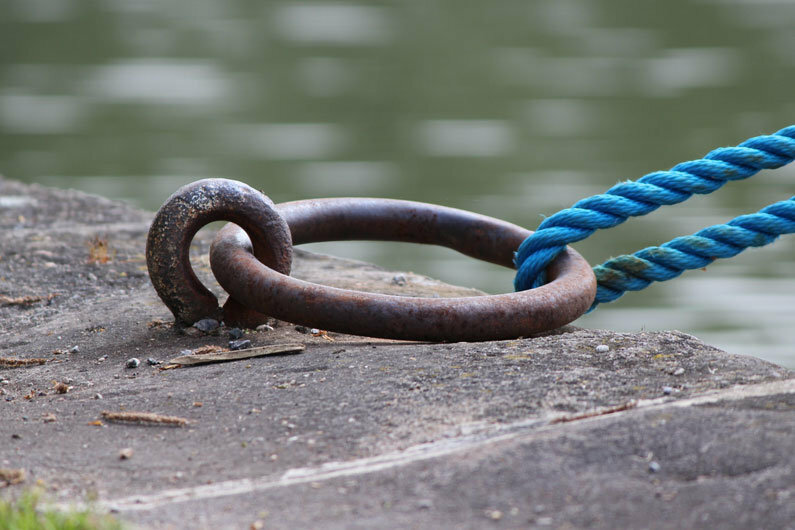 Mooring Hardware… What Do You Need? 3 mooring pins, One front, one rear, one spare for when you drop one in or for making a spring line. 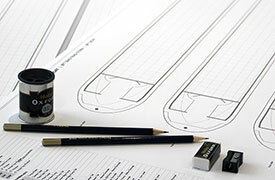 Two on the bow of the narrow boat are useful for making a spring line on “fast motorway” canals. A spring is basically a rope forward to a pin as usual, back to the T stud and then pinned to the bank or towpath towards the stern creating V at an angle of 30’ to 45’. This stops the bow wandering. Pins can also be used, carefully, behind mooring pilings but are not so secure. A steel headed mallet (and spare for when you drop one in) is useful for securing mooring pins. Ropes with spliced loop ends long enough to easily moor in all situations 10m is a good start. One front and one rear and possibly one centre for security. Come in two basic types. “Nappy” pin and a curved pin with a line eye on the top. Many moorings are on pilings and as the CRT improves the waterways they are becoming increasingly common. When mooring on pilings, try and set your pins near the piling securing bolts if possible. Sometimes pins can pull through behind the corrugations and setting them behind the bolts gives a more secure mooring. Pilings give very secure moorings. Two rope fenders are the minimum for a quiet nights sleep. On boats with roof gutters and rails, hooks can be made or purchased that allow the fenders to be positioned exactly where you need them. Don’t forget to take them onboard before the next lock or you risk loosing them. If you loose them they may be the next thing the boat following you has to remove from his propeller! 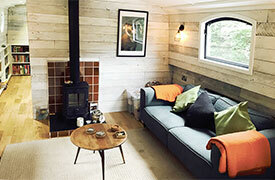 On some navigation’s, particularly the Shropshire Union, you will encounter an under water sill. 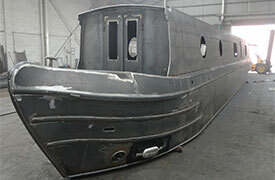 Normal fenders will not keep the hull from scraping and grinding, especially as narrow boats motor by. Consider carrying 2 x12” plastic wheel barrow wheels and tyres, which when floating horizontally, will keep the narrowboat off the sill. Additionally you could add heavy duty cable ties to your kit. A basic first line of defense against fools who think it’s sport to untie mooring lines in the middle of the night. When tying off on rings, take the line through the ring, back to the boat and tie off on board and secure the line with tightly pulled cable ties close to the t stud or dolly. Some narrow boaters carry a small sickle for cutting back nettles and weeds. This is very useful. What is also useful is a big magnet on a rope for attempting to retrieve those bits we drop in! If your windlass is aluminum or stainless steel though you’d better be prepared to get wet or get a grappling hook. These materials are not magnetic!